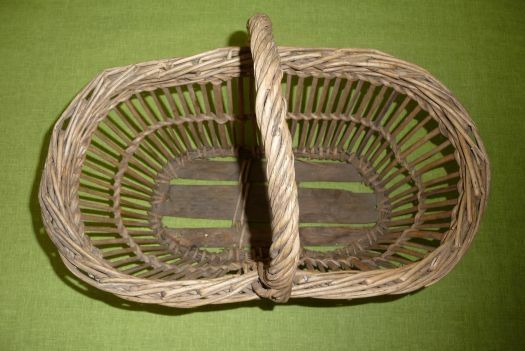 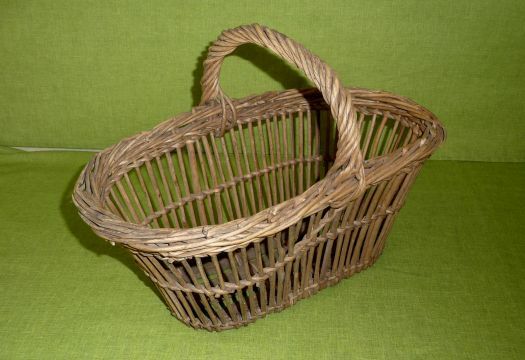 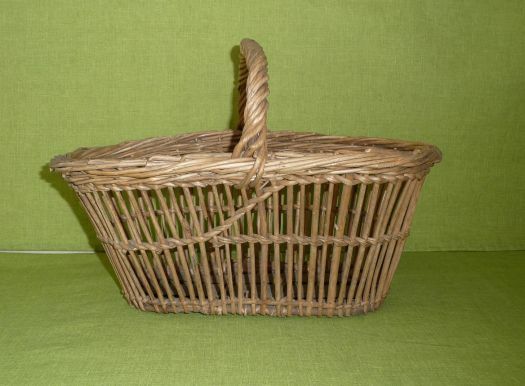 Pretty small basket, rather for decoration. 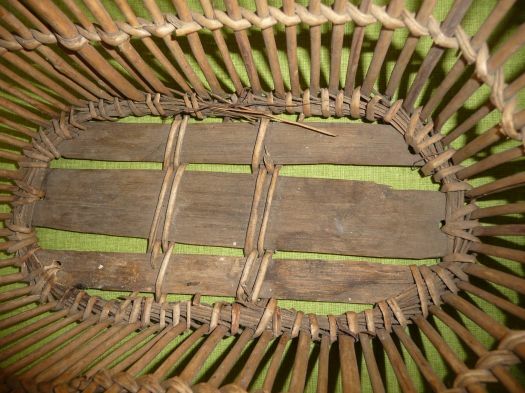 Condition is not bad in spite of small lacks of wood but it is old and rather fragile ; so it is better to not use it every day. 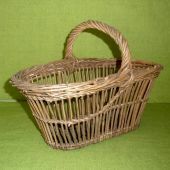 33,5 cm x 20 cm ; total height handle included : 22,6 cm.